Plays such an important role in traditional Asian culture that it is even regarded as a behavior model of the gentleman. As bamboo has some features such as uprightness, tenacity and hollow heart, people endow bamboo with integrity, elegance and plainness. Bamboo's natural hollow form makes it an obvious choice for many instruments, particularly wind chimes. 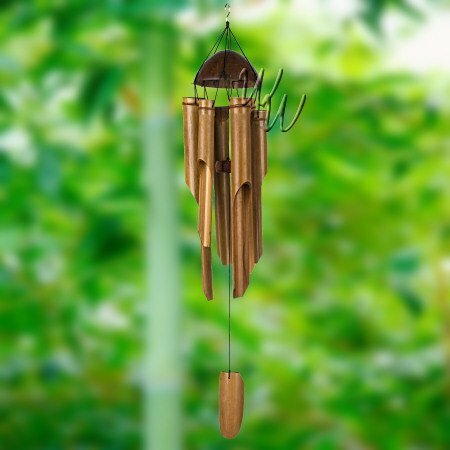 Our Bamboo wind chimes are handcrafted to naturally resonate, creating haunting music to grace your home and garden. Listen to each our Bamboo wind chimes below by following it's link or picture.